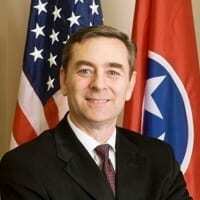 Glen Casada, represents the 63rd District in the Tennessee State House. “Fifteen years ago I ran for the State House and won, and I’ve been re-elected every two years since. It’s an honor to represent Williamson County,” he says. His colleagues in the House elected Casada to be House speaker for the 2019 session, giving the veteran lawmaker an opportunity to become a unifying force for creative ways to advance prosperity and growth in Tennessee. All that time stuck in traffic costs Middle Tennesseans money - an average of $1,300 each year. And with 80 people moving to Nashville every day, Casada recognizes that traffic congestion is likely to get worse before it gets better. “We really need to look at incentives for change,” Casada said, observing the heavy volume on I-65 is now evenly balanced and often stop and go between Davidson and Williamson County commuters going both ways! That’s why the House speaker is open to looking at new solutions and why he regards Hytch—a free app that pays drivers and passengers alike to share rides as a good idea. The Nashville Technology Council agrees, recently recognizing the company as Emerging Company of the Year. With “transit” being the hot topic in Nashville, more and more big corporations who call the region home are investing in creative solutions. For example, automotive giant and Williamson County citizen Nissan North America — recognizing innovation that excites, to borrow the automaker’s tagline — is sponsoring the entire state of Tennessee, paying commuters a minimum of a penny per mile and up to five cents per mile for using the Hytch Rewards app to track shared rides in any of the Power of Ten Counties of Middle Tennessee. “That’s a game changer,” says Casada. For its part, H.G. Hill is also contributing rewards – with a penny per mile in Williamson County and a five-cent per mile bonus for carpooling to Maryland Farms in Brentwood. Together with Franklin Synergy Bank and Sprint, contributing a penny per mile, both the driver and passenger make up to $.12 per mile to leave a car at home!  Sponsoring Hytch Rewards is perfect for a business with sustainability goals, a parking problem, or merely a love for innovative technologies that solve big problems. If you’re interested in partnering with Hytch, check out these sponsorship options. If you’re a commuter and frustrated with the traffic in Nashville— you can defend clean air and defeat traffic by downloading the free app today. Inviting friends, neighbors, and co-workers to share a ride is easy when everyone in the car gets paid to join you!